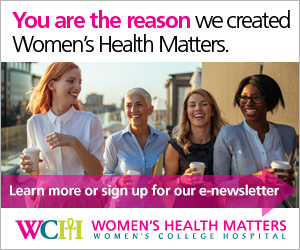 Women's Health Matters - What is the abortion drug RU 486, and how does it work? What is the abortion drug RU 486, and how does it work? RU 486, also called mifepristone, is a drug used to induce abortion in early pregnancy. It was approved for use in Canada in July 2015, and is sold in Canada under the trade name Mifegymiso. An abortion that uses drugs, instead of a surgical procedure, to end a pregnancy is called a medical abortion. Two drugs are used in a medical abortion: mifepristone (RU 486), and misoprostol. The mifepristone (RU 486) is taken first. Two days later, this is followed at home with misoprostol. Within a few hours of taking the second drug, uterine contractions will empty the uterus, ending the pregnancy, Dr. Dunn explains. This experience is similar to an early miscarriage, usually causing cramping and heavy bleeding. Pain medication can help relieve cramps. Bleeding lasts for an average of 11 days, with an average of two days of heavy bleeding, according to clinical trial information included in Health Canada’s regulatory decision summary. Health Canada also listed several possible side-effects, including diarrhea, nausea, vomiting, fever or chills, headache, dizziness and weakness. A followup assessment is required a couple of weeks after taking the drugs to confirm that the abortion was successful. In Canada, mifepristone is approved for use up to seven weeks into a pregnancy, although it is used in many countries up to nine weeks, and is now approved for use up to 10 weeks in the U.S. It cannot be used for ectopic pregnancies, or in women who have an IUD in place. Women who take corticosteroids, who have bleeding disorders, or who are very anemic are advised not to use mifepristone. While medical abortions have been available in Canada in the past using a different drug, they have not been widely used. Medical abortions previously used a drug called methotrexate, which is primarily used for treating cancer. Mifepristone (RU 486) has several advantages over methotrexate: it is easier to use, works faster and provides more predictable results, Dr. Dunn says. Mifepristone (RU 486) is available in Canada under the trade name Mifegymiso. Doctors who wish to prescribe it have to complete an online training program. How widely it is available depends on the number of practitioners who complete the training and provide the drug as part of their practice. Filling a prescription for Mifegymiso costs about $350. Some private insurance plans may cover the drug.